S President. Trump: 'She should be ashamed'. 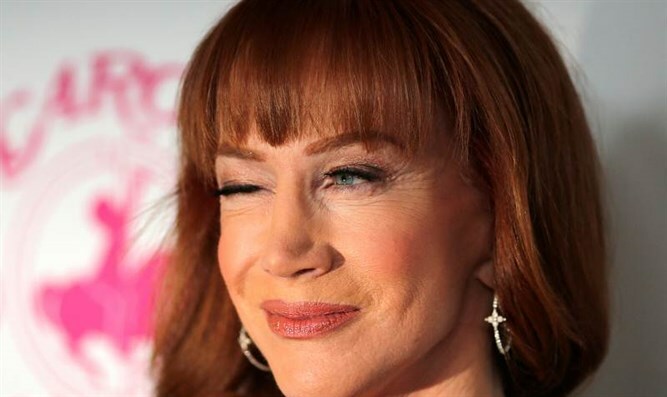 CNN has ended its deal with comedian Kathy Griffin after she caused outrage over a video clip she posted showing her holding a fake decapitated head made to look like President Donald Trump. The network announced the decision in a tweet from its Communications Department. "CNN has terminated our agreement with Kathy Griffin to appear on our New Year's Eve program," the tweet reads.Griffin has hosted CNN's New Year's Eve coverage with network anchor Anderson Cooper since 2007. On Tuesday, Griffin posted a short video clip on Twitter of herself lifting a bloodied head that appeared to resemble Trump. Griffin wrote that she wanted the president's decapitated head without his body. After the image began circulating online, Cooper tweeted that "I am appalled by the photo shoot Kathy Griffin took part in. It is clearly disgusting and completely inappropriate," Cooper wrote. Griffin later apologized for the disturbing image which was already becoming viral online. By Wednesday morning, Trump said it was upsetting his children. "Kathy Griffin should be ashamed of herself. My children, especially my 11 year old son, Barron, are having a hard time with this. Sick!" Trump tweeted. First lady Melania Trump also called the photo "very disturbing." "As a mother, a wife, and a human being, that photo is very disturbing," she said. "When you consider some of the atrocities happening in the world today, a photo opportunity like this is simply wrong and makes you wonder about the mental health of the person who did it." In a statement made before her termination, CNN said it found Griffin's actions "disgusting and offensive," and mentioned it was evaluating its New Year's Eve coverage. Griffin apologized in a video posted Tuesday night, in which she admits she took the joke too far.